Today, let's revisit Plex. If you own a Mac or an iOS device, you can benefit from using Plex Media Server. Let's jump right into the benefits. Macs used to come with Front Row but new Macs no longer come with it. Front Row was an easy program to use but it was limited. Plex picked up where Front Row left off. All of a sudden, Mac users were able to watch various media types all in one place. I have used VLC player in the past and still do sometimes. It also provides the capability to play various media types but Plex does more than that. Plex Media Server allows you to store and organize your media. For instance, if you have movies on a computer, an external hard drive, and on a NAS (network attached storage) like the Drobo FS, you can consolidate them all with Plex Media Server and they would simply all display as movies. I think that is a cool feature. When you want to watch your movie collection, you don't want to worry about where is this movie stored. You want the simplicity of browsing your movie collection and Plex does that well. This works for TV shows and music as well. Plex Media Server also takes meta-data (information about the file) and uses it to go online and find more details about the file. 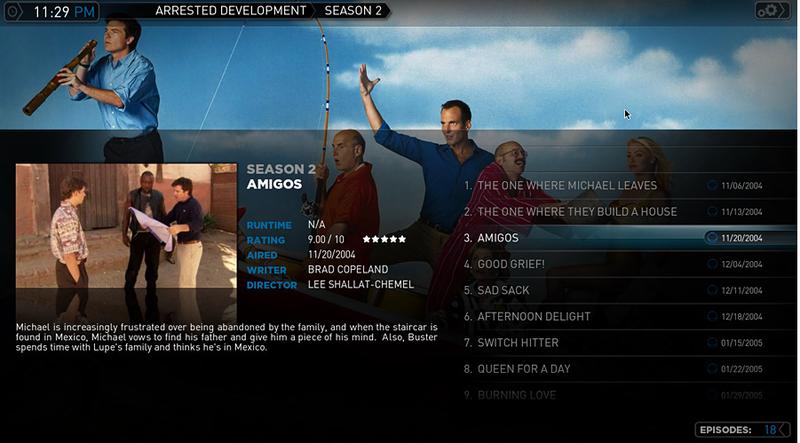 For instance, with movies, it Plex can pull cover art, plot summary, and more. This feature can really make Plex pop! Imagine having a something that looks like this on your big screen! Then there is MyPlex where you can setup an account and then you can take your media with you anywhere. Imagine watching your shows or movies from home while you're out using your iPhone or iPad. You can also use this feature to share with your friends if they are using Plex. Once you use it, I'm sure you'll tell your friends to use it as well. You can also use Plex to access online content. That really opens up your options for what you can watch! So, if you're now ready to setup Plex Media Server on your Mac, here is an informative video that walks you through the process so you can enjoy the benefits. Do you currently use Plex Media Server or would you use it in the future? Why or why not?